The People began to gather at a familiar summer spot. They began to form the circle once again and find a comfortable place around it. 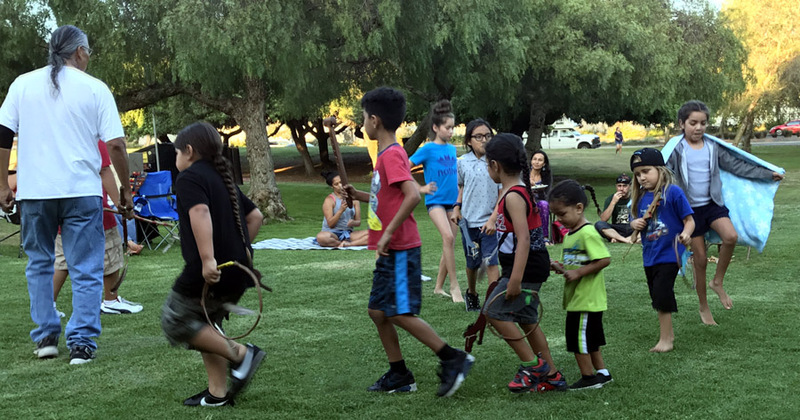 There is a beautiful group of Soaring Eagle children dancing tonight and as the afternoon shadows stretch themselves across this Indian Land, the summer weather is a little cooler for dancing harder. 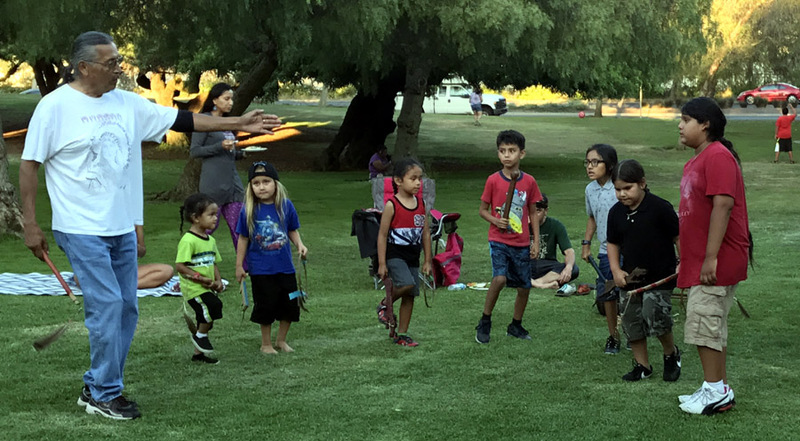 Our workshop location for the summer is in the area of traditional Kumeyaay villages. Gathering here carries that traditional feeling of being among tribal people. 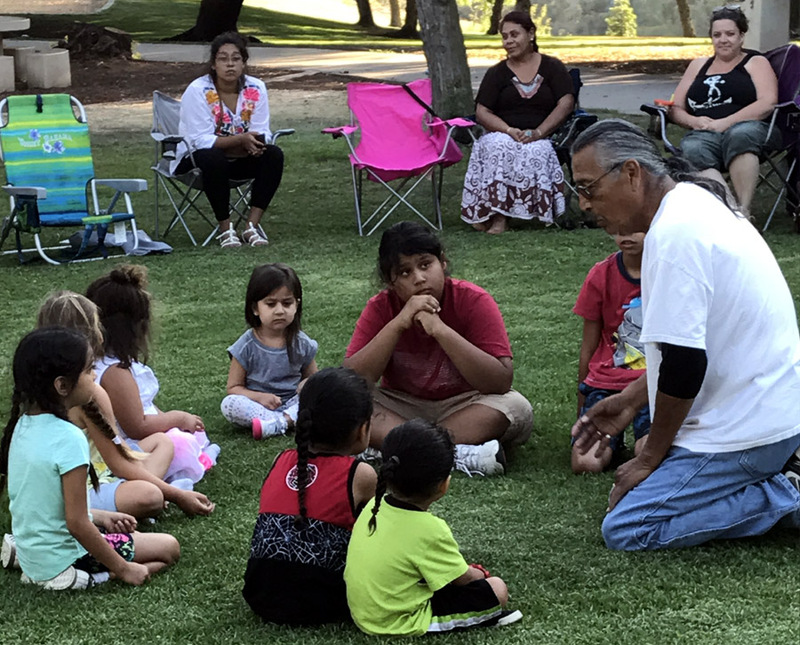 The Soaring Eagle youth program is all about the children and is held in the Pepper Grove of Balboa Park. 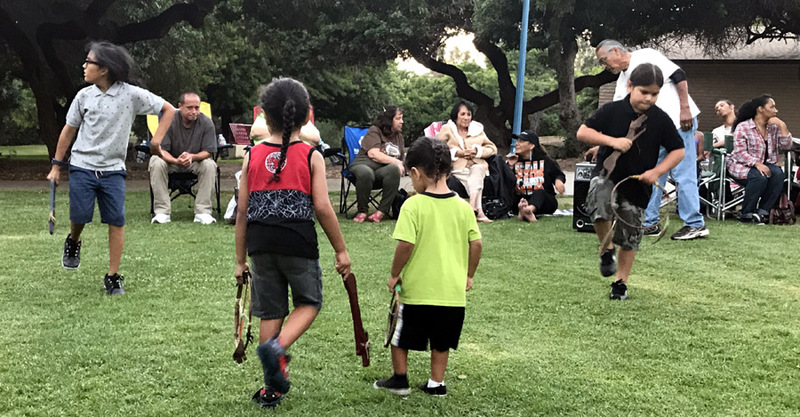 The Potluck dinner is followed by powwow dance practice until 8:30 pm closing. The Creator hears all of us in any language and we're told if you know any of your native language to say a few words with it to the Creator. 'Elders first' for the food. Thanks to All who shared some potluck. Our Instructor Chuck always takes an opportunity for refining dance skills or dance protocol to our dancers. We continue to provide basic instruction for the new and younger dancers. Once they learn the basic steps they can join in with greater confidence. Our Singers are always there to sing songs to carry on our traditions in the circle. Thanks to all who come and participate and help our children grow. Aho. As dusk settled around the circle spirits remained bright for this our first gathering and workshop in the park. Too dark for more pictures but our Singers closed with a Round Dance for all to enjoy.